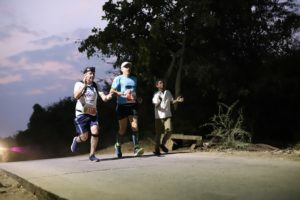 The IV Anantapur Ultramarathon has recently concluded in Andhra Pradesh with 26 teams of four member each covering a distance of 170km in relays. The non-competitive solidarity race commenced on 24th Jan from the Sundaraiahgari Colony, on the Gorantla-Kadiri road in the Anantapur district. A total of 45 houses for families living in huts will be built in this village by RDT, for which the runners have already managed to fundraise 1.6 crores rupees. The track then continued through small roads across Thatimekala Palli, Chavitivari Palli, Banan Cheruvu Palli, Mekkalacheruvu Ext, Payakattu Devalacheruvu, Puligandla Palli, Talupula, Batre Palli, Gondhi Palli, Tapitivari Palli, Thimanayna Palyam, Indukuru, Bhudanam Palli, Marrimekula Palli and Tadimarri, where transitions took place and runners could rest, reprovision and interact with the local communities. 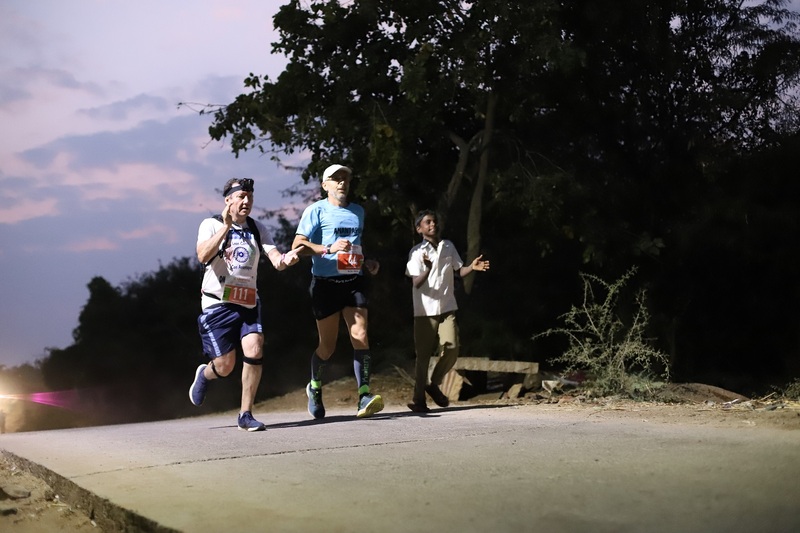 From Tadimarri to the finish line, the ultramarathoners were joint by the participants of the Anantapur 10K, a modality introduced in this edition to encourage the participation of local runners. 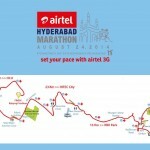 Combining the Ultramarathon and the 10K, 214 runners from India, Spain, Australia, Ireland and the USA have participated in the fourth edition. Some of them, like the Spaniard José Borrás, have been returning every year. “I feel that this has been the hardest because we are many more people than last year and we moved in buses instead of jeeps. I have not slept even a bit and it has been very hot. It was extremely tough but worth every drop of sweat”, he says, emotionally. Peter Keogh came from Ireland along with his daughter has run the Ultramarathon for the first time. “We went through villages where children, parents and elders were there to cheer us, even at 4am. It gave us a lift as we were running through. No matter how hard it felt or how low we felt, when you see them all, it was humbling and fantastic”, he shares. Krish Hanumanthu, from Bangalore, drove yesterday to Anantapur to participate in the last 10K along with two of his friends. 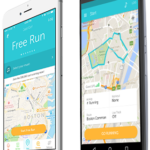 According to him, the Ultramarathon and the 10K are “a great idea, especially because all the good staff that goes behind the run. It’s been a tough 1h15min of my life but I think that what’s happening with the funds raised is very nice”. This year, the Anantapur Ultramarathon also marks the launch of the 50th anniversary celebrations of the Rural Development Trust. Its founders, Vicente and Anna Ferrer, reached Anantapur on 25th January 1969 where they later established the organization. The ultramarathon is an original initiative by Juan Manuel Viera, an ultrarunner from Spain and a volunteer of RDT. In 2015, he combined his passions—running and social change—and decided he would run a kilometer for every newly enrolled child under RDT’s programmes in Anantapur district. The IV Anantapur Ultramarathon has exceeded its fundraising goals. Through their participation fees and solidarity, the runners along with their friends and relatives, have managed to raise this year as much as they collected in the three previous editions together.